Left Shark, thou art no this sick beat. 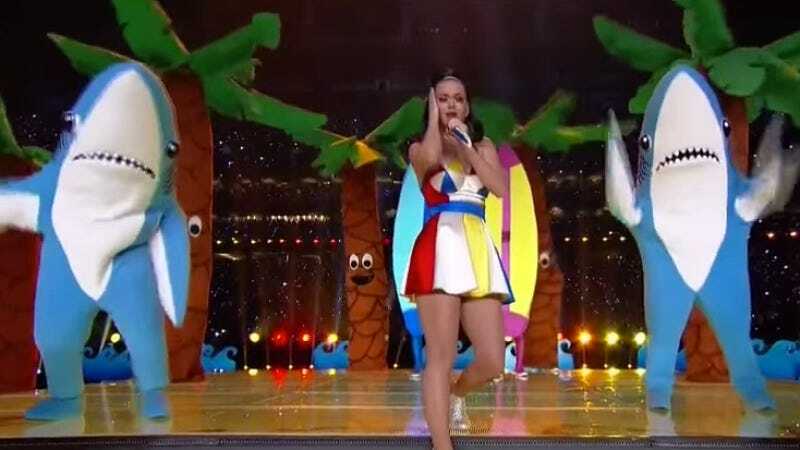 Today in “Let’s Plant A Flag In Everything Because ‘The Public’ Is An Outdated Concept” news, it seems that Katy Perry is being briefly thwarted in her efforts to capitalize on your fleeting amusement at her flustered backup dancer. According to The Hollywood Reporter, the pop singer’s initial attempt to register a “Left Shark” design with the U.S. Trademark Office has been rejected. In a response that likely forced him to consider some hard truths about his job and its place in the world, trademark examiner David Collier concluded there was not enough evidence to justify granting Perry a trademark based on the submitted design’s relation to her performance. Not only that, but a photo of the real-life Left Shark (or “Lark” as it is popularly known, having now eclipsed America’s second-favorite Lark, Lark Voorhies) is markedly different from the submitted design. Perhaps sensing that this news could well induce a case of the vapours in poor Ms. Perry, Collier hastened to assure her that not all of her efforts were in vain. Pending some clarification on just what she intends to do with it, the words “Left Shark” appear ripe for trademark. The application specifies that the trademarked phrase would cover “costumes” and “figurines,” but did not offer enough detail as to just what kinds of clothing and tchotchkes would be covered. Would the costumes be uniforms or Halloween masks? Would Katy Perry’s inventiveness stretch to include faberge eggs, or merely souvenir plastic key rings available for purchase at Cracker Barrel? David Collier needs answers to these questions, because he is a grown-up doing a professional job, and not merely a man forced to indulge the whims of a pop superstar’s corporate conglomerate. All of this came about because designer Fernando Sosa thought it might be fun to sell 3-D printed figures of “Left Shark,” not realizing there is no party like a copyright infringment party, and also, get with it, we call him “Lark” now. Perry’s lawyers quickly sent a cease-and-desist letter, to which Sosa responded just as Lark would have, by frantically waving his fins—and also hiring a lawyer of his own. Several lawsuits later, here we are, living in a world where Katy Perry may not be able to sue you for making something that looks like a shark, but she certainly can the moment you specify the side of you on which the figure of a befuddled, flapping shark will be placed.